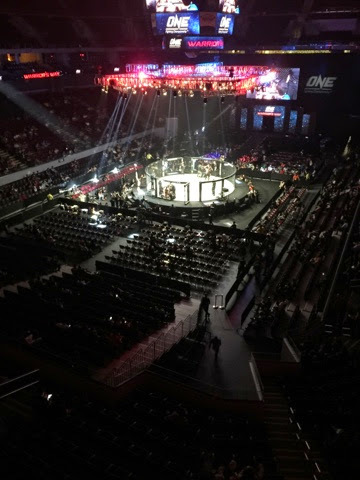 Recently O4BO.com sponsored a Mixed Martial Arts fighter Jujeath Nagaowa in a OneFC.com fight here at Manila Mall of Asia Arena. Jujeath "Bad Girl" Nagaowa won her bout in the second round. But this blog is more about the leverage this means to the subscribers of O4BO.com and Explorer4Manila.com to drive people to those sites and see their listings and pages. Our subscribers not only benefit from low cost services, web page hosting and applications but we promote those sites in many ways. Think about it, even those with free listings on any one of the explorer4manila.com site or any of the other explorer4*.com sites benefit from ALL the promotions we do on all the social media, including THIS one.